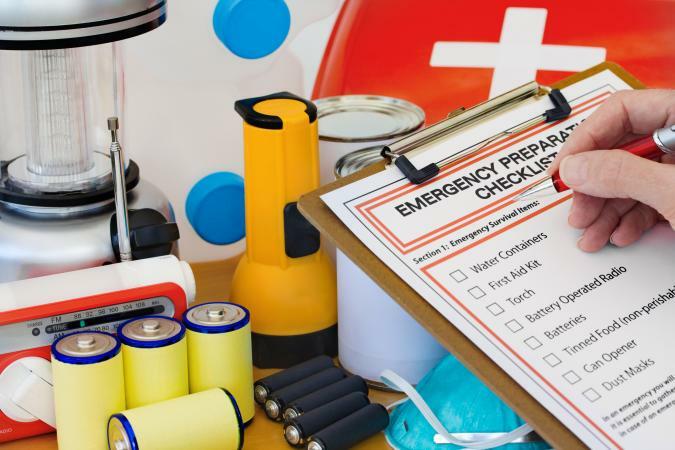 When you're searching for information about how to prepare for various types of disasters, there's no better resource than the disaster preparedness category on LoveToKnow's Safety channel. It's important to make sure you have a solid plan in place before disaster strikes. Using the resources provided here is an excellent way to get started. Weather: Many disasters are weather-related, so safety training for severe weather is a critical aspect of disaster preparedness. Visit the site for key safety tips for hurricanes, tornados, floods, ice and snow storms, and other weather emergencies. Earthquakes: If you live in an area that's prone to this kind of disaster, you need to know how to take every earthquake safety precaution, including being aware of what to put in an earthquake emergency kit. Survival: Nutrition and hydration are important disaster planning considerations, including what to put in a survival food kit and how to purify water in an emergency situation. It's also important to include other kinds of survival supplies in your disaster recovery kit. Power loss: It's not unusual to lose power very early in a disaster situation. You'll be better prepared to deal with power loss if you're knowledgeable about emergency power supply options. LoveToKnow Safety is an excellent resource for everything you need to know to get prepared for emergencies that may strike. The channel's expert writers are dedicated to providing trusted information readers can rely on, so be sure to visit the site any time you are looking for tips and suggestions to incorporate into your disaster planning efforts.